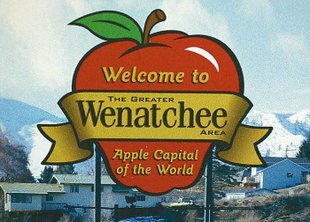 Sales of Homes in Wenatchee is on the rise!! We are seeing a fantastic rise of sales of homes in the past few months! Even experiencing homes being listed and pending within just a few short days! How exciting is that?! Utilizing internet technology has become one of our greatest accomplishments in listing homes. Choosing your real estate professional is perhaps, the most important decision you will make when selling property. The more you look around the more we think you will see why it makes sense to list with us. We don’t sit back and wait for buyers to come to us. We aggressively put your list your property in the places people are looking! We Aggressively Market Your Property through Mega Listing Sites and Social Media! All brokers are able to post your property in the MLS which is a good start – but only one piece of the pie. The Internet allows potential buyers to look in many places. We not only put your listing in the local MLS, but we also push our listings to the KEY popular real estate mega sites that have show good results for driving traffic and interest to our listings and our site. We harness the power of the major Mega Listing sites such as Zillow, Trulia, YouTube, Google Videos, Google Maps, Facebook, Twitter, AOL Videos, and more. The bottom line is that we post your listings to the most popular websites on the planet! We look forward to selling your home! There is no question in my mind that across Washington State and Nationally the Real Estate Market is greatly improving. I recently attended a two day convention with Coldwell Banker and attended a session with state wide economist. I was very encouraged to hear what I was reading and hearing from The Seattle Times and my associates in Coldwell Banker Bain (933 agents) and Coldwell Banker Danforth (357 agents) ! They were saying the market is now in a spin with multiple offers, upward bidding, and 19% price appreciation. Like our motto at Coldwell Banker LaVigne when asked.. "hows the market doing? "… we say "UNBELIEVABLE!" And that reflection on the local market is said with honesty and integrity which is how we at Coldwell Banker LaVigne run our business. For the last three years, our local market of Wenatchee, East Wenatchee, Cashmere, Leavenworth, Lake Wenatchee, and Chelan has been unbelievably poor. Our market resisted stubbornly, a recessionary correction and the National trend, i.e. down in price and number of sales. Our living working community hung on with fewer short sales and foreclosures than would have been expected. It is as if a huge wave of correction surged across the greater part of the State and our Wenatchee area withstood the current connection with sellers saying, “we purchased for….spent… in extensive remodeling… and we just can’t admit the reality of the market conditions, appraisals and comparables sales. Now, as the Greater Seattle area rebounds, we are caught in the back wash of a wave of correction. Our Market is just beginning to improve. Inventory is down, new listings are selling, Coldwell Banker LaVigne is seeing quick sales, even days, in spite a sham marketing promising they sell quicker… the data shows contrary. Our State wide economist convinced me with clear market matrix and statistics that we are coming into an amazing recovery. Now’s the time to sell!! Interest rates are historically low, clear price downward movement…”UNBELIEVABLE”!!! Our local market which trentds 6 months to a year behind Seattle is shifting from a buyers market, with aggressively low offers and closing cost concessions, to a sellers market! Buyers who are waiting for the bottom of the market only to discover they missed it! Think about this statistic that comes from out of research from Coldwell Bankers President, Budge Husky. “when listing with the national brand, Coldwell Banker, and Tom Sellic the voice of Coldwell Banker, sellers are realizing 20% high profitability when listing with Coldwell Banker. How’s the Market Doing? “Unbelievable”! at Coldwell Banker LaVigne.